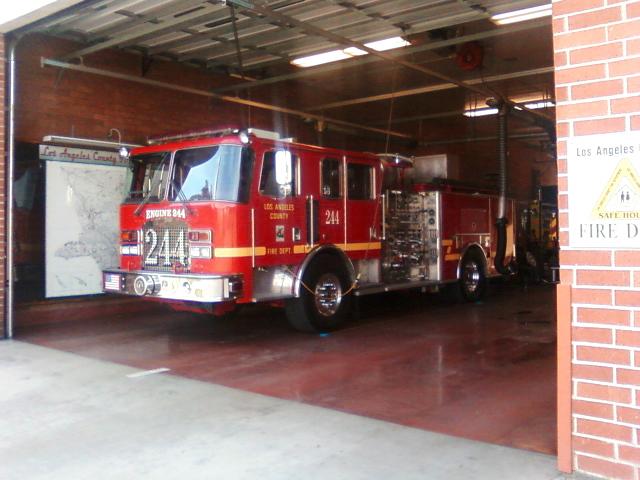 The stats for fire engines are largely dependent on the type of fire truck. There are 3 main types (who knew?). The longest is the ladder truck. The ladder is about 100 feet long and the truck itself can be 40 to 50 feet long. The tanker holds the most water. This truck is 30 feet long and can hold more than 1,000 gallons of water. Conclusion: While I and a pumper truck are both good at putting out fires, a pumper truck weights more than me. Want to hear more about putting out fires? Check out my latest post on The Fat Chick Sings HERE. This entry was posted in Uncategorized on January 6, 2011 by fatchicksings.